Humidity sensors. Wall humidity sensors. Duct humidity sensors. Outside air humidity sensors. 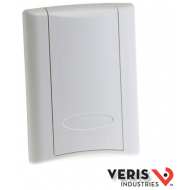 ACI humidity sensors,2%,3% and 5%, Veris humidity sensors,2%,3% and 5%, Bapi humidity sensors,2%,3% and 5%, Senva humidity sensors,2%,3% and 5%, Dwyer humidity sensors,2%,3% and 5%, Temperature and humidity combo sensors. Humidity replacement elements. HWL2NSTAX2A 2% accuracy, LCD, NIST, temperature transmitter, 1K setpoint slider. CE. HWX1NSTH2 1% accuracy, No LCD, NIST traceable, 10k ohm T3 thermistor with temperature documentation at 25° and 35°C. HWX1NSTH 1% accuracy, No LCD, 10k ohm type 3 thermistor. HWX1NSTD2 1% accuracy with NIST certification, No LCD, 10k ohm type 2 thermistor with temperature documentation at 25°C and 35°C. HWX1NSTD 1% accuracy, No LCD, 10k ohm type 2 thermistor. HWX1NSTCX2A 1% accuracy, No LCD, 1000 ohm platinum RTD. HWX1NSTC2 1% accuracy, No LCD, 1000 ohm platinum RTD, with temperature documentation at 25°C and 35°C. HWX1NSTC 1% accuracy, No LCD, 1000 ohm platinum RTD. 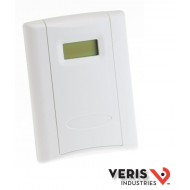 HWX1NSTA3 1% accuracy, No LCD, temperature transmitter, with temperature documentation at 10°C, 25°C and 35°C.